I recently had the chance to read Stumbling Into Grace: Confessions of a Sometimes Spiritually Clumsy Woman. 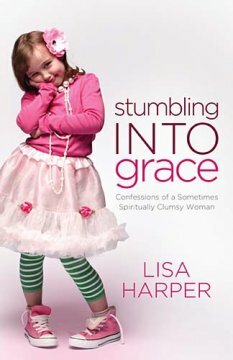 It's written by Lisa Harper and is kind of like a diary and devotional combined into one. She draws you in and talks to you like you're a close friend. This book is broken down into three parts called Real Life, Real Gifts, and Real Growth. The chapters are short, but not as short as a you would expect a daily devotional to be. Stumbling Into Grace is really easy to read and can be quite funny and at times a little sad. 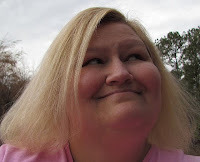 Ms. Harper uses stories from her life and incorporates Bible scripture into each part. I like the prayers at the end of each chapter and the questions you can answer or just journal your own thoughts. It helps to know that other Christian women have struggles too and to know that their lives aren't perfect. Because, I don't know about you, but sometimes I just feel like I don't have a clue and that I'm all alone! Lisa Harper also offers a fresh perspective on scripture I've read over and over before. I think this would be a good book for a women's study since it's short and already has questions for everyone to answer. I give Stumbling Into Grace 4 out of 5 stars. I received this book from BookSneeze.com in exchange for an honest review.